Through the benefit of years and also recent clinical studies about beets, we now know even more about the benefits, not only for eating beets, but also beet juice. Research now indicates beet juice can improve brain function, especially in older adults. Beets are high in nitrates that stimulate circulation to benefit intestinal health, blood pressure and exercise performance. In a recent study daily beet juice consumption was shown to improve blood flow, especially to the frontal lobe of the brain where cognitive function is more critical as we age. 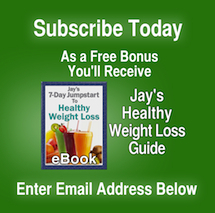 Jay’s Liver Mover is easy to make using his PowerGrind Pro juicer and provides measurable benefits. It’s tasty too! The recipe is 1/2 beet and one or two apples. 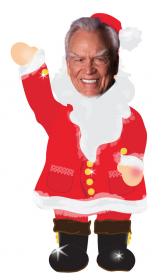 Fifty years ago when Jay was studying about juices and their healing powers, one of the juicing masters of that time, Dr. Norman Walker had a great influence on Jay’s understanding of fruits, vegetables and their role on various parts of the body. One of the vegetables Dr. Walker believed to be powerful was red beets. His studies provided evidence that beets were great for cleansing and rejuvenating the liver. To this day, Jay frequently uses beets in many of his juice combinations. Through the benefit of years and also recent clinical studies about beets, we now know even more about the benefits, not only for eating beets, but also beet juice. Research now indicates beet juice can improve brain function, especially in older adults. Beets are high in nitrates that stimulate circulation for intestinal health, blood pressure and exercise performance. In this study daily beet juice consumption was shown to improve blood flow, especially to the frontal lobe of the brain where cognitive function is more critical as we age. Beets are very easy to add to your own favorite juicing recipes. A great juice combo from Jay and Dr. Walker is The Liver Mover. 1/4 to 1/2 a beet and 2 apples. Many consider the dandelion a pesky weed, cluttering up a nice green grass lawn. Something to be removed and thrown away with other yard clippings. What most people don’t realize is the lowly dandelion is a powerhouse of nutrition and benefit for the human body. It’s easy to grow and easy to put into salads or make into a juice. According to the USDA Bulletin #8, “Composition of Foods” (Haytowitz and Matthews 1984), dandelions rank in the top 4 green vegetables in overall nutritional value. They are nature’s richest green vegetable source of beta-carotene, from which Vitamin A is created, and the third richest source of Vitamin A of all foods, after cod-liver oil and beef liver! They also are particularly rich in fiber, potassium, iron, calcium, magnesium, phosphorus and the B vitamins, thiamine and riboflavin, and are a good source of protein. Dandelion has been recognized as one of the best liver cleansers and restorers. They are considered very safe and effective as a general tonic for the gallbladder, pancreas, spleen, stomach, and intestines, improving bile flow and reducing inflammation in cases of hepatitis and cirrhosis. Dandelions also help to dissipate gallstones and are believed to improve kidney function, thereby improving overall health and clearing skin problems like eczema and acne. Dandelion acts as a diuretic but does not deplete the body of potassium because it contains high levels of the mineral. Those suffering from low blood sugar or diabetes can benefit by consuming dandelions each day and has also been shown to help with digestive disorders, sluggishness, general fatigue and indigestion. Use dandelion in your favorite vegetable juice combination as well as in salads. We recommend starting off with only a small number of leaves or small handful in the beginning because of it’s powerful detoxifying properties. As you work up to a higher tolerance, add more to your green juice combos and enjoy the many benefits of dandelion. 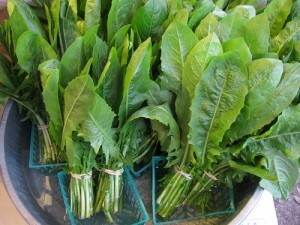 Look for organic bunches of dandelion leaves at your produce store or co-op. If you do not see it in stock, as the manager if it’s available from his distributor. Beets for Liver and Brain Too! 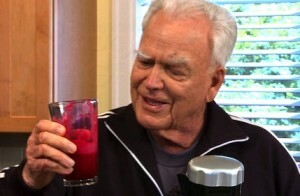 One of the key drink combinations from Jay uses beets and apples which he calls The Liver Mover. In the video below Jay makes this drink and talks about the importance of making sure your liver is performing at top efficiency. 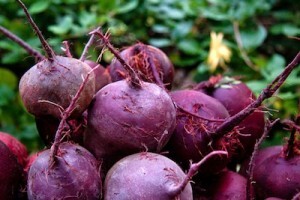 New research now indicates beets can improve brain function as well, especially in older adults. Beets are high in nitrates that stimulate circulation benefits to intestinal health, blood pressure and exercise performance. In a recent study daily beet juice consumption was shown to improve blood flow, especially to the frontal lobe of the brain where cognitive function is more critical as we age.